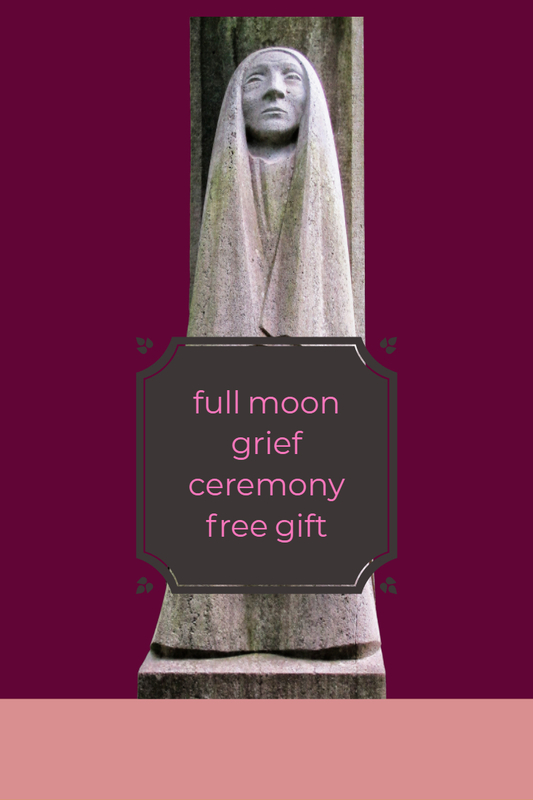 Your FREE FULL MOON gift is on its way! In this great time of change, we are asked to review our deepest fears and emotions, to release the pain of the past or the fear we have about the future. As the Divine Feminine surges and expands, we find so much is not what we thought it was, many are leaving Earth prematurely, and so many of us are finding our "real" tribes (thus releasing the "old families" and paradigms). Whatever it is you are mourning, exploring in your deep sadness, the pain can be all-consuming. In this Ceremony, We call in the grief to be honored, held and released. We must feel these feelings in their entirety or let them fully consume us. Through this Ceremony and Audio Activation, we ask to go into the depths of the great Mama Oshun, to be consumed by choice (not force), to ride the waves, to come out clean, in our Power, more in our hearts than before. We claim this sacred right to "mourn" our losses to get back to harmony on Earth, and within our Hearts. And we ask to be surrounded by our Spirit Guide dancers, our communities holding us in our loss, so that the road can be easier. 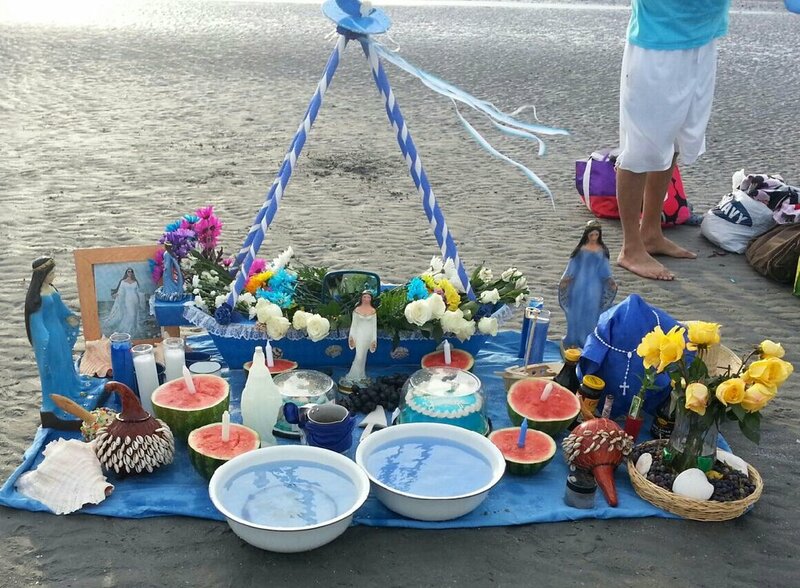 Yemaya, Mother of All life, reminds us of the deep love and care that is available to us at all times, if we listen to the seashell, if we allow her to take us deep under the waves of loss. She knows betrayal and heartbreak; She knows how to rage and she knows how to forgive. How does your heart ache? Are you grieving losses, betrayals or what you thought were the greatest gifts now gone? Grief is one of the most holy of human emotions, and we must move through her to get back to harmony, compassion and understanding in our lives. When we grieve, we are attempting to lick our old wounds clean and heal from trauma. We often go through a series of "phases", although not always in a clear direction. We can encounter Shock, Denial, Anger, Bargaining, Depression, Testing the New Waters/Possibilities/New Life/New World, and Acceptance. Is it time to explore, move through the river and let go? Thank you! You’re audio & ceremony instructions are on their way! OH, Yemaya, who traveled on the slaves ships from Africa to the Americas as guide and protector, who knows our pain and suffering, we call on you to give us your grace, sacrifice and surrender, so that we might endure all pain and loss with reflection and grace and return to love. With this, Yemaya, we have healed ourselves, taken responsibility for our reactions, our deepest regrets and grief, and we have once again honored the Mother- Our bodies as coming from the Earth, our emotions coming from the Sea, Mama Africa being the birthplace of our Divine Templates. We have taken back the Earth by claiming our feelings and emotions and taking back our right to be free, healthy and whole. Yemaya, let us come to accept all change and to create order out of chaos, calling in your partner orisha (nature spirit), Olokun, to help us go deeply into the turbulent waters, to mourn the separation from our beloveds, from ourselves and from an old world dying, so that we may come out a New People, hearts in tact, shining like a pebble to the sand. We thank you both. 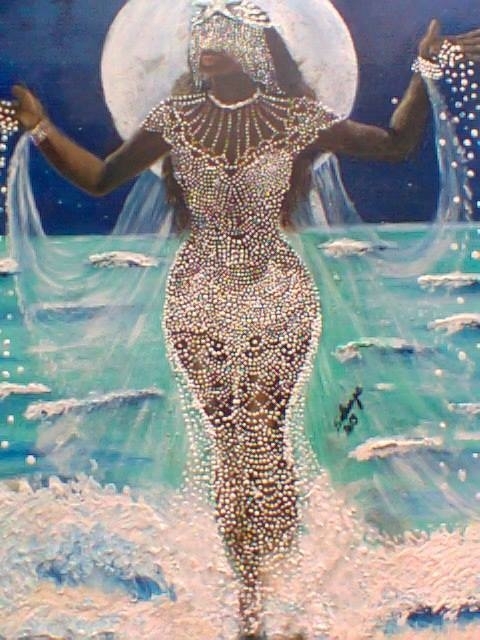 Yemaya, let us hear your song of the Wailing Mothers so that we might find solace and peace again in our Souls, that we might love again, so that we are reminded in our Faith of Great Creation and your All Giving Life, Your Sacred Waters. SEE YOU IN THE CIRCLE, NO MATTER HOW FAR AWAY WE ARE! When we heal or deep sorrow, we are forgiven and we can forgive for anything "done" to us or our ancestors, and those things we or our kin have "done" to others.